Some may know Marie Kondo, the Japanese organizing guru, from her 2011 book The Life-Changing Magic of Tidying Up. However, she has recently made her way to the top of the news cycle due to her 2019 Netflix hit Tidying Up with Marie Kondo. In this Netflix series, Kondo makes her way through the homes of very disorganized American homes, and she teaches them how to figure out what to keep, how to store things properly, and how to figure out what sparks joy. Why Tidy Up Your Clothing? Because of this, a lot of us have a ton of clothes. Pun intended. And according to the chief design offer for California Closets, we only wear about 20% of the clothing in our closet. The idea is that you hold the clothing item in your hands, and if it immediately makes you happy, you keep it. If it doesn’t, you sell it, donate it, or throw it away depending on its condition. Tidying up that closet and your dressers is a huge undertaking, but it also can change your life when it’s finally organized and tidied up. Or can it? 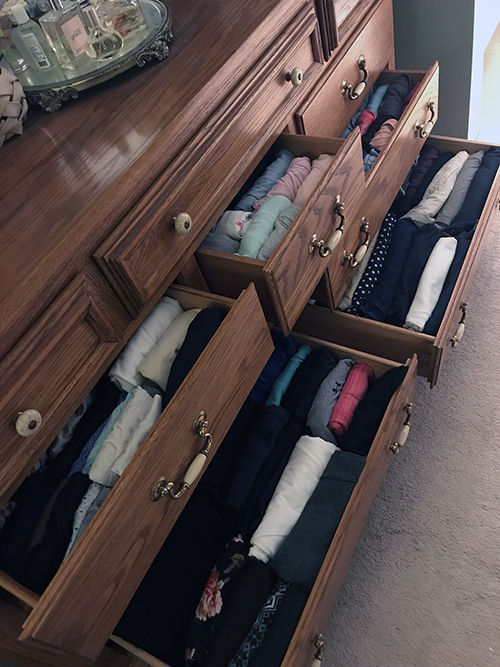 Some of us Decatur natives tried folding our clothes according to the Marie Kondo method, and here’s what happened. An unexpected side effect of the organized folding method is that laundry time is a bit more enjoyable. 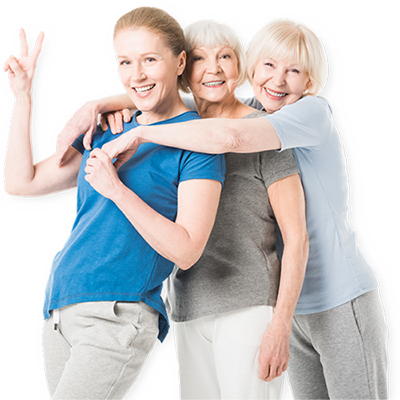 "Not that anyone loves folding laundry, but knowing that I have a system in place makes it easier. It's not just a jumbled mess anymore. It's so precise, which makes that process nicer," she explains. After she spent some time with her newly decluttered drawers, Heidi decided to do it everywhere! Each time she sees a drawer that can be organized according to the KonMari method, she does it. Bethany, a mother of two little girls, first heard about the Marie Kondo style of tidying about a year ago. Her friend was in a local Decatur, IL book club, but Bethany didn't end up reading with the group. She recently watched the series Tidying Up with Marie Kondo on Netflix and learned more about the Kondo process through the show. 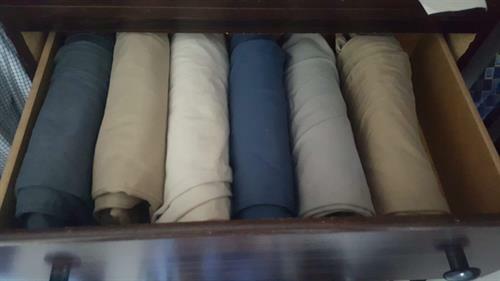 Bethany has also tidied up all of her and her husband’s drawers. You can see each and every item – not stacks of folded up clothes. 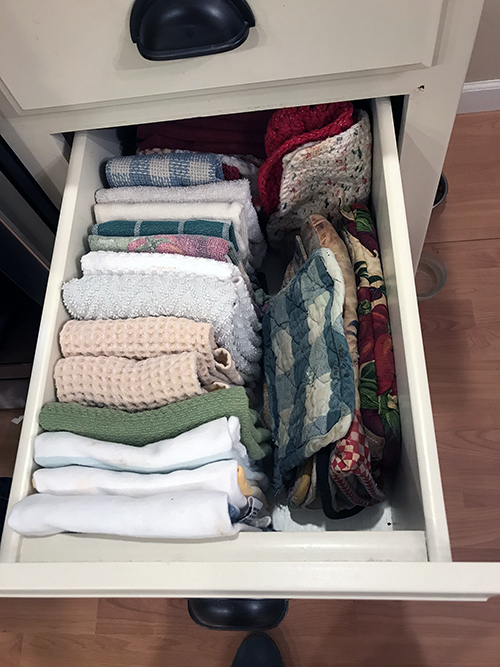 Rebekah first learned about the Marie Kondo folding method through the Netflix series. “My husband thought the show was ridiculous. The idea that you could hold an item and tell if it ‘sparked joy’ for you was laughable to him,” she says. 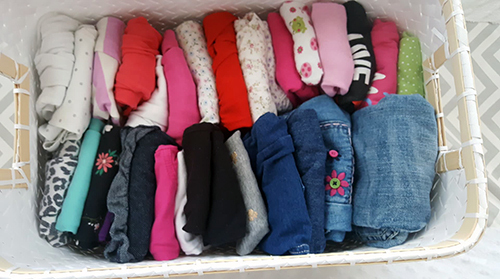 However, she noticed over the years that were a lot of clothes she wasn’t wearing because she couldn’t see them in her drawers. 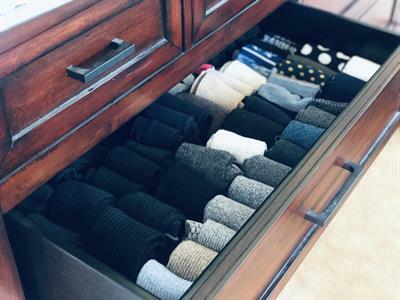 Her husband also felt like he needed new clothes because he had nothing to wear, despite the fact that the closet and all the drawers were full of options. 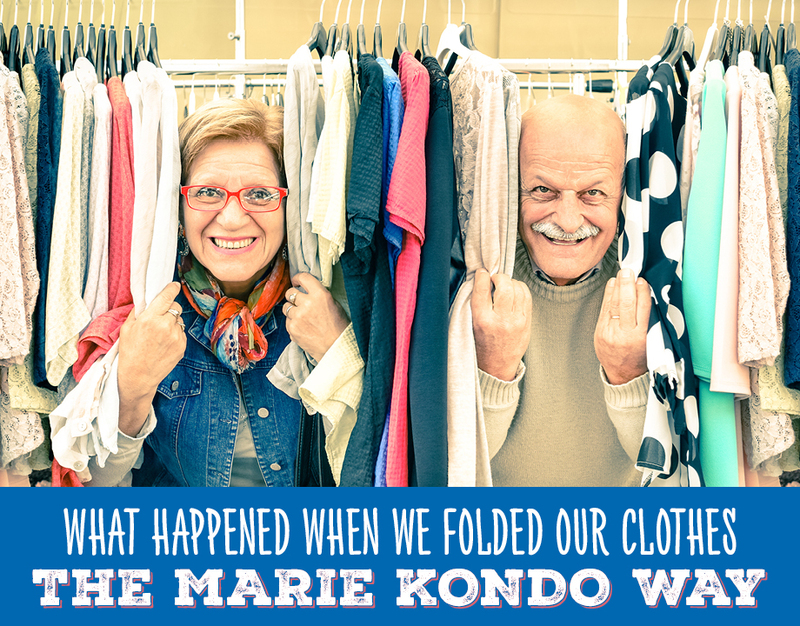 Now, Rebekah and her husband only fold their clothes using the Kondo method. “You can see everything, and there’s never a day anymore where we say that there’s nothing to wear. 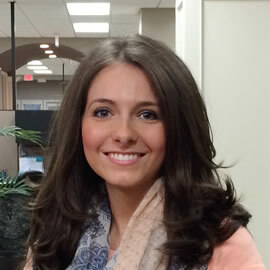 Plus, the fact that it looks so neat really does improve your day,” she explains. 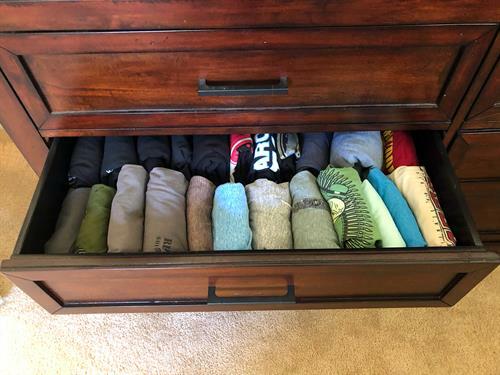 Turns out there may be a little something to the Marie Kondo folding technique! Give it a try in your home and let us know how it goes! Your staff makes one feel that you have there best interest at hand, yes I would recommend your services to all.